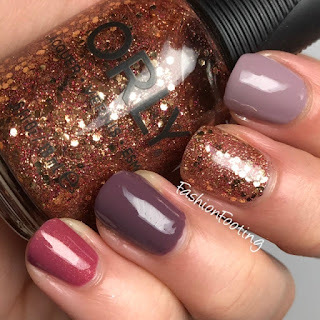 Today I have a fall manicure for you, inspired/copied directly from this pin. I used all Orly polishes for this manicure: You're Blushing, Gossip Girl, Blend, and Hillside Hideout. This is such a simple manicure but I really loved these colors together!